Harvest these tasty flowers for cooking, fancy drinks, desserts, or salads all summer spring and summer long. 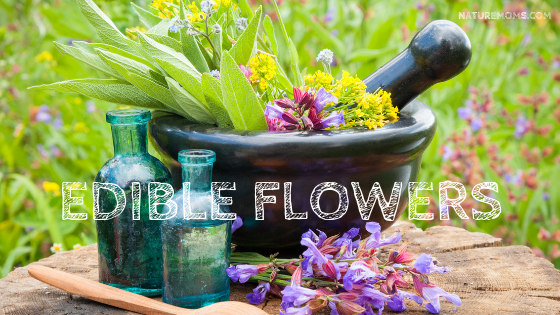 Plant the herbs for your herbal flower garden in well drained soil and use an organic flower fertilizer. They need 6-8 hours of full sun. Water regularly at the base and mulch often to keep weeds down. Enjoy your tasty flowers and make sure to leave for medicinal purposes and for the pollinators!